This weekend I traveled to Houston, Tx with my friend Stacy to help her with her Bridal Wars event. Although, we were there for the event, I think the real event was all the amazing food we ate! So much that I definitely overate. 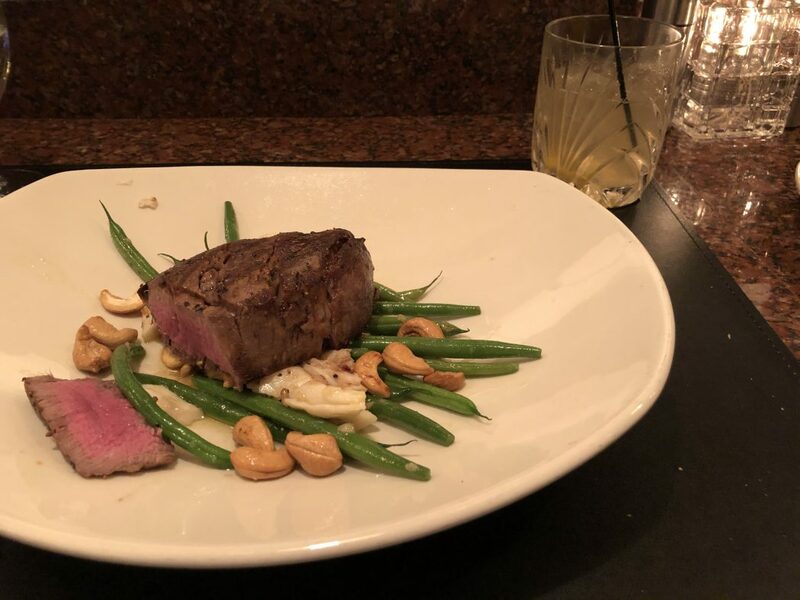 We flew in on Saturday night and after dropping off our bags at the hotel Stacy made a beeline for her favorite steakhouse, Vic and Anthony’s. I have never been there before and was fairly certain I would at least have a good steak. I paired my dinner with a burbon cocktail called In Fair Verona. It married some of my favorite alcohols, St. Germaine and Burbon in the Romeo version. You could have it made with Vodka and then it would be the Juliet. It was a refreshing cocktail one I would recommend if you like citrus. After our event we were hungry. Stacy wanted an “Appetizer” before dinner or a late lunch. Not any other “app” would work except for Pappas. We got take out. This chain throughout Texas is a must if you’re in Texas. It may have been that we were hungry from missing lunch but when I tell you that the rub on the pork ribs was to die for, believe it. There is something so amazing about a good rub when you don’t need to cover it with sauce. These ribs fit that bill. We ordered a variety of sides but hands down the fries were pretty awesome. They were hand cut thick fries. They had just enough salt and pepper that you didn’t need ketchup. I love when you don’t have to add anything to your food. 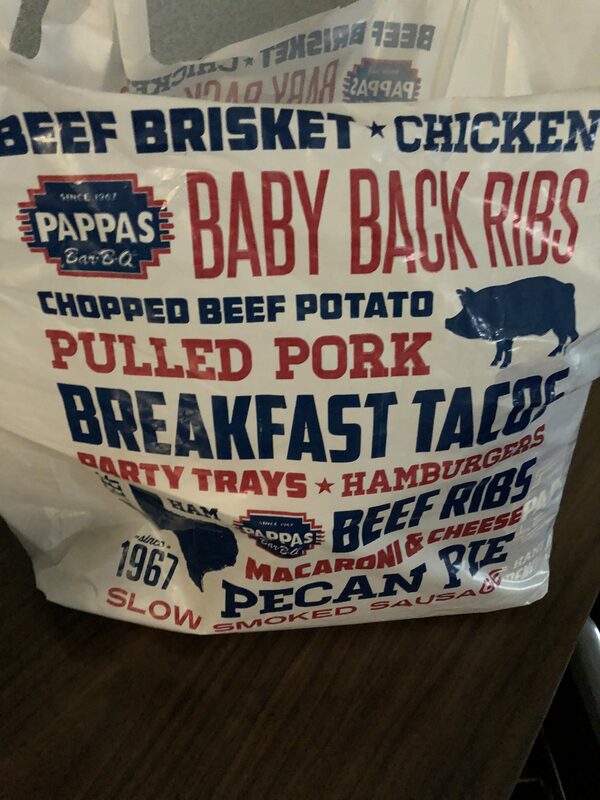 If you’re in Texas look up a Pappas! For dinner our second night we went for Tex-Mex. Chuy’s is a chain throughout Texas that serves up some of the best Tex-Mex I’ve had. The first time I tried Chuy’s was in Austin near the Barton Springs pool. This one in Houston was equally good. Or at least most of it was. We started with the house chips and salsa. The salsa has a kick so beware if you are sensitive to spice. The other dip you get is their jalapeno creme. I never knew it was jalapeno! It tasted like a ranch dip. 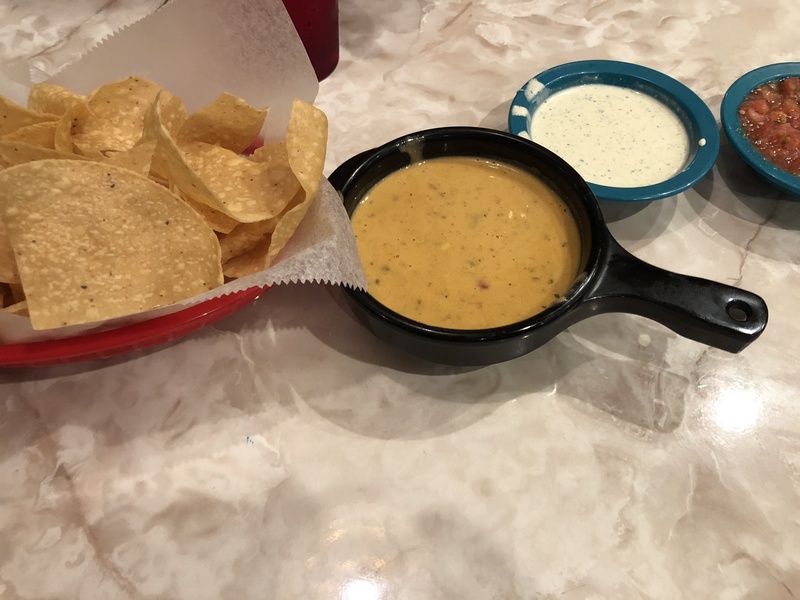 We, of course, had to get the queso. I think every restaurant we try we get the queso and this one was awesome. It had just enough bite and was so full of flavor. I highly recommend it. For my meal, I ordered the Chuychanga. I probably should’ve read the description a little bit more because it was drenched in Cilantro. I’m not a fan of cilantro and it took over the Chuychanga. I couldn’t taste anything else. Stacy had the enchiladas which she enjoyed. The food came out extremely fast. I think we were seated, ordered and ate our food and left in around 30 minutes. Talk about fast food. So much food and no where to put it. I really felt like I ate enough this weekend to last the entire week. Everything was so good that you didn’t want to stop eating. If you’re looking for quality eats, head to Houston, you will not be disappointed. What are some of your favorite places to eat in Houston? Let me know in the comments below. Until next time.